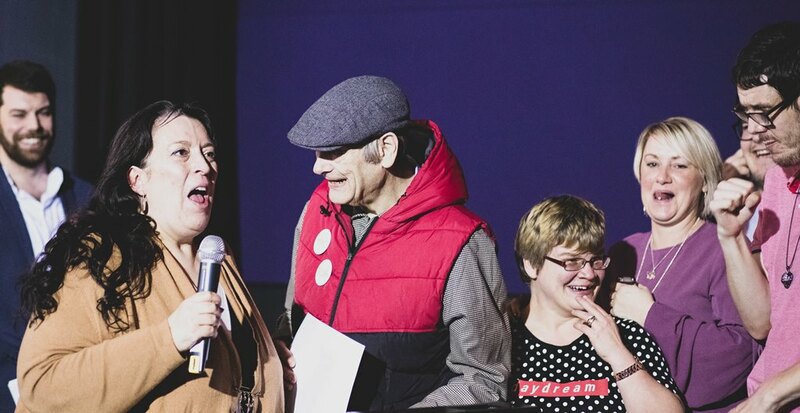 Birchgrove WI Cardiff, were the winners of Leadership Award at the third annual Iris Community and Education Short Film Awards 2019. The other winners were Y Lolfa (The Lounge) by Ysgol Gwynllyw, Pont-y-pŵl, which took the Best Education Short Film Award and We Leave Our Labels at the Door by SWS (Wrexham) (pictured above), who took the Best Community Short Film Award at a packed ceremony at Cineworld in Llandudno Junction. 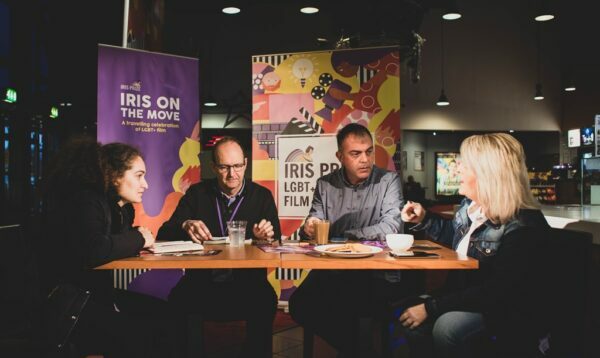 The Iris Community and Education Short Film Awards 2019 were presented by Tom Selway and celebrate the achievements of organisations across Wales, including schools, workplaces and community groups, who over the past year have worked with Iris to make a short film exploring LGBT+ issues. The first award of the evening for Best Education Short Film was presented to Ysgol Gwynllyw, Pont-y-pŵl. The education jury awarded second place to Lledaenu'r Gadwyn (Pass It On) by Ysgol Bro Edern and third place to Realised by HomeEd, Carmarthenshire. "Y Lolfa was the complete package. Well-paced and contemporary, the humour was sustained throughout and the film looked at important issues in a fresh, entertaining way." Y Lolfa will be available to view on YouTube later this year. The second award of the evening for Best Community Short Film was presented to We Leave Our Labels at the Door by SWS (Wrexham). The community jury awarded second place to Cake by Birchgrove WI Cardiff and third place to Clinq by TSMU (Trans Social Meet Up, South Wales). You can watch We Leave Our Labels at the Door below. The final award of the evening for Leadership Award was presented to Birchgrove WI Cardiff, with a special commendation for Ty Dewi Sant Care Home, Penarth. Myra Vidgen is seen above accepting the award for Birchgrove WI Cardiff. You can watch Cake! below. “Blimey!! What can we say? Here at Birchgrove in north Cardiff, we've been delighted to work with Iris Prize Festival over the past two years. Making our Cake! 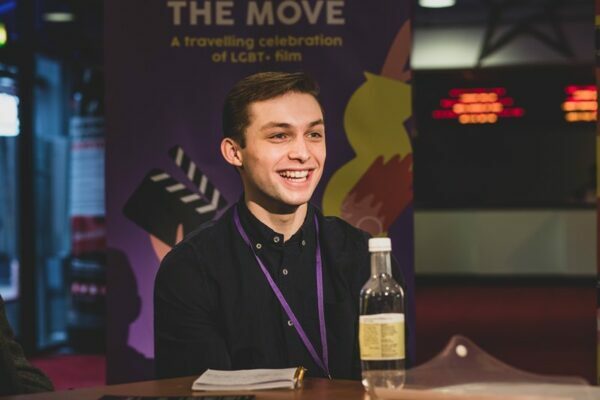 an lgbt WI short film was an exciting challenge in itself - taking it out there into the big wide world has been both a pleasure and an eye opener. Birchgrove WI's debut short film CAKE! (written and directed by Cate Hopkins) was nominated in two categories. We were thrilled to hear CAKE! announced as a runner up in the Iris Community Film category. The seven secondary schools and youth groups competing for the Education Award were: Ysgol Gwynllyw, Trefddyn; Ysgol Bro Edern, Cardiff; Ysgol Eirias, Colwyn Bay; Risca Community School, Newport; Home Educated Pupils, Carmarthenshire; Media Academy Cardiff and Willows High School, Cardiff. There were twelve short films competing for the Iris Community Short Film Award, the groups responsible for the films are: TSMU (Trans Social Meet Up, South Wales); PRISM (Welsh Government’s LGBT+ staff network); Unique Transgender Network, North Wales; Birchgrove WI, Cardiff; UNA International Students; Powys Mind/PAVO; Cymru Cymraeg Caerdydd; Aberration, Aberystwyth; SWS (Standards in Wrexham Services), Attic Players, Newcastle Emlyn; Betsi Cadwaldr University Health Board and Ty Dewi Sant Care Home, Penarth. All photos by Harrison Williams. 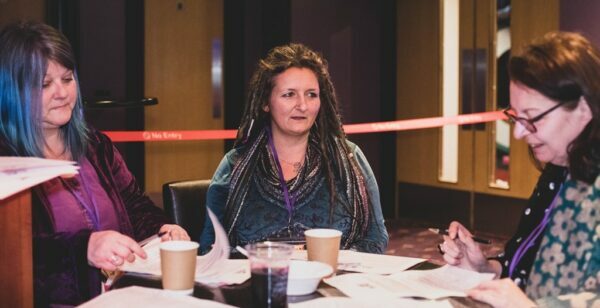 The main festival sponsors are: The Michael Bishop Foundation, Welsh Government, BFI, Ffilm Cymru Wales, Pinewood Studios Group, Cardiff University, For Cardiff, Bad Wolf, Gorilla Group, Co-op Respect, Gelert Post Production and Cineworld. The festival also works in partnership with BAFTA Cymru, Pride Cymru and Stonewall Cymru. 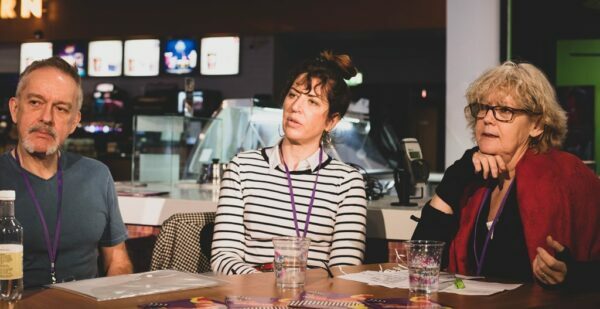 Iris on the Move is also funded by Film Hub Wales.